Many people start vegetarian and vegan diets without doing nutritional research and learning what constitutes a balanced vegetarian diet. Consequently, a considerable number of new vegetarians don't last for more than a couple of months. Happily, achieving a balanced vegetarian diet is relatively easy once you know the basics. Many new vegetarians who fail to carefully research and plan complain that they lack energy. Also, they often experience a significant loss in muscle mass. 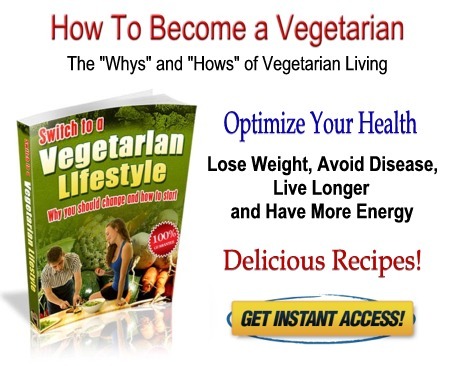 Others observe a number of other problems that come with a poorly balanced vegetarian diet. The first group -- the group that most failed vegetarians fall into -- is usually experiencing a form of protein-energy malnutrition (PEM). PEM emerges when a person fails to consume enough high-quality protein. This often leads to muscle loss accompanied by feelings of weakness as well as head and muscle aches. Learn what foods contain complementary amino acids so they can be combined to form complete proteins. Consume larger amounts, from more diversified sources, of vegetarian protein. Tofu, soy milk, and yogurt are excellent choices. Most nutritionists suggest that vegetarian and vegan dieters consume roughly twice the recommended amount of iron while greatly reducing their consumption of iron inhibitors. It may also be a good idea to supplement a balanced vegetarian diet with iron supplements. People in the second group, who suffer from a range of other diet-related problems, are often not consuming enough of the nutrients that they unknowingly consume on a diet that includes meat and dairy products. These nutrients include zinc, calcium, vitamin B12, vitamin D and riboflavin. With the possible exception of B12, these can often be consumed in adequate quantities with a carefully balanced vegetarian diet. A daily full-spectrum vitamin and mineral supplement is probably a good idea for most vegetarians, especially those who don't consume dairy products. To guard again pernicious anemia (symptom-less until irreversible damage is done), vegetarians who don't consume dairy products or eggs (and some who do) should supplement with B12. Sublingual B12 is absorbed the easiest, although some people require injections, as oral supplements may not be absorbed in high enough quantities. It's a good idea for new vegetarians to consult their physicians after the first 6 months to have nutrient levels measured (especially B12 and iron) and to discuss possible absorption issues. Some recent studies have suggested that vegetarians process certain types of foods with less efficiency because they consume different amounts and varieties of absorption inhibitors and enhancers. However, research shows that a balanced vegetarian or vegan diet, when done right, is not only as healthful as a non-vegetarian diet, but is also much more heart-healthy. A balanced vegetarian diet usually contains higher amounts of antioxidants, also. In order to eat a healthful, balanced vegetarian diet, it's important to put in the time to research and plan. Otherwise, it's very likely you will develop one or more of the nutrition deficiencies discussed above. Once you learn and implement the basics, a balanced vegetarian diet can be very healthy for the long term.